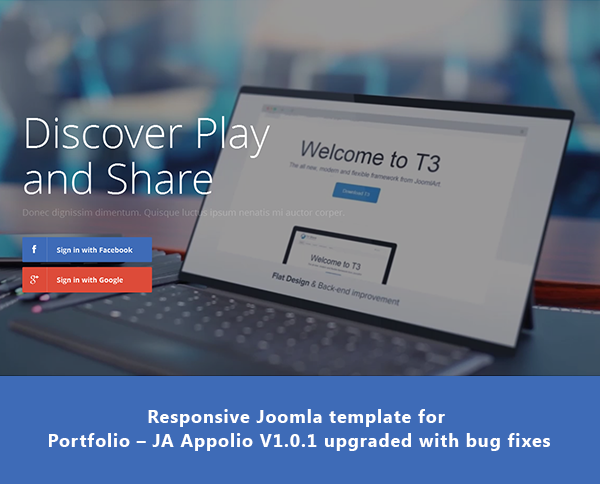 Our Responsive Joomla template for Portfolio – JA Appolio version 1.0.1 for Joomla 2.5 and Joomla 3 has just been released with some bug fixes. 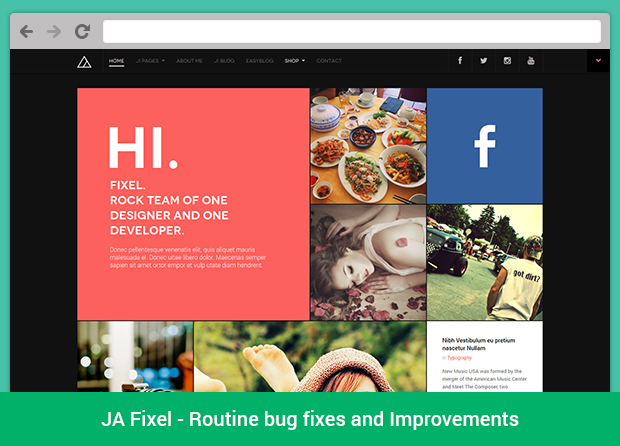 Built on the robust T3 Framework with Bootstrap 3 at core, this stunning template assures to help you build a powerful product portfolio and showcase website. 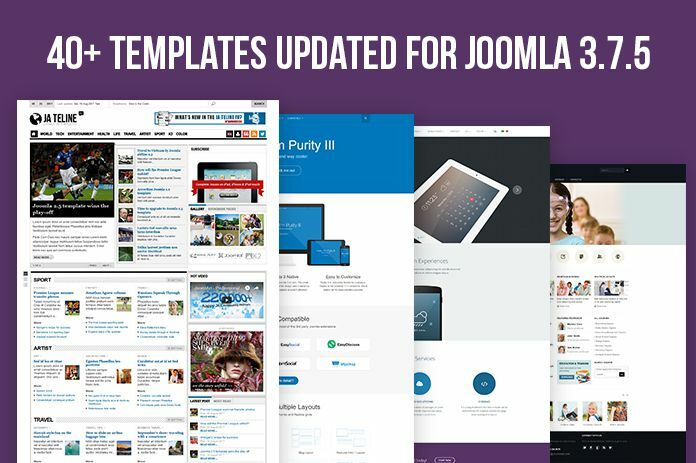 Adding up for the current 13 Joomla templates collection for Joomla 3.1.5 released last week (the Joomla 3.1.5 upgrade first batch & second batch), another batch of the upgrade is out. 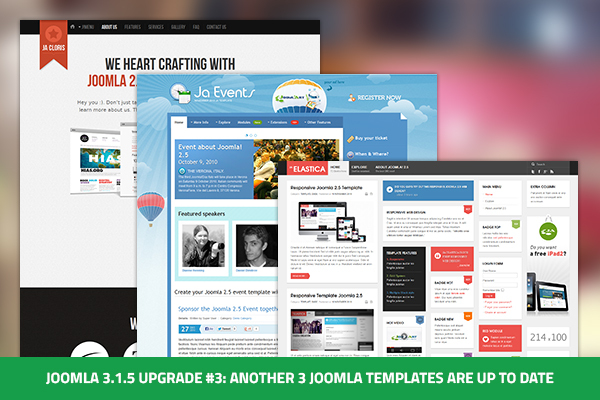 Follow right up with our first Joomla 3.1.5 upgrade batch for 4 Joomla templates, 9 more Joomla templates are now compatible with Joomla 3.1.x versions , these templates are also updated for the latest Joomla 2.5.14 version. 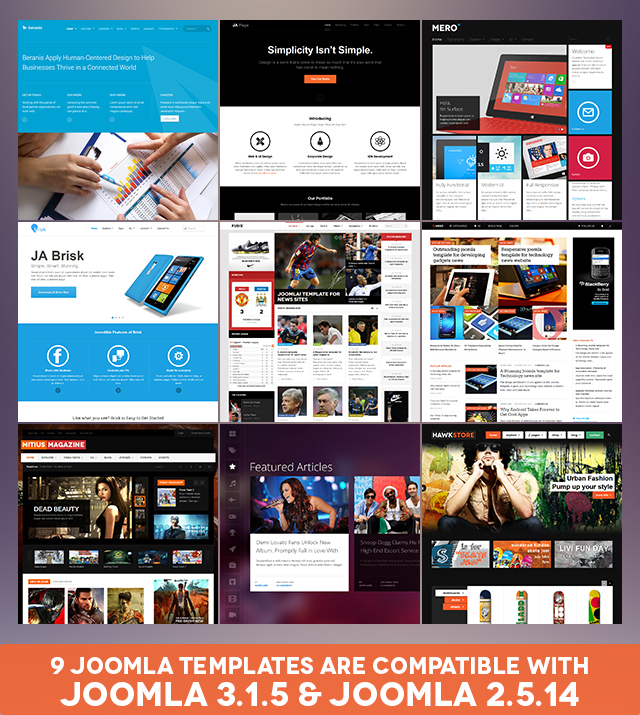 These templates are also updated for the latest versions of K2 component version 2.6.7 and Acymailing version 4.3.4 and Kunena version 3.0.1 as well. 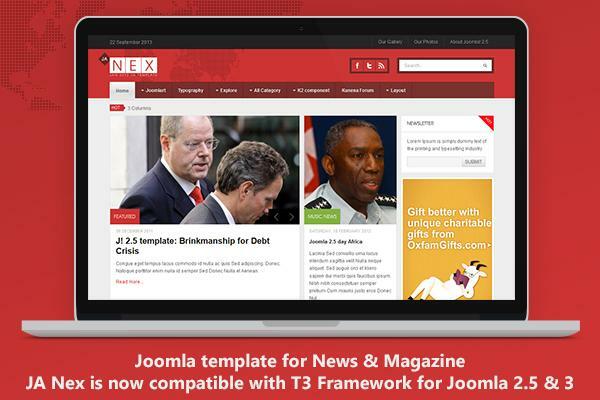 Joomla template for Business: JA Beranis, JA Mero and JA Brisk. 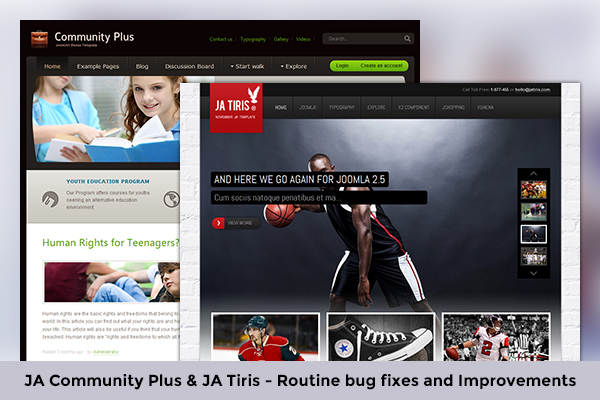 Joomla template for Gaming: JA Mitius. 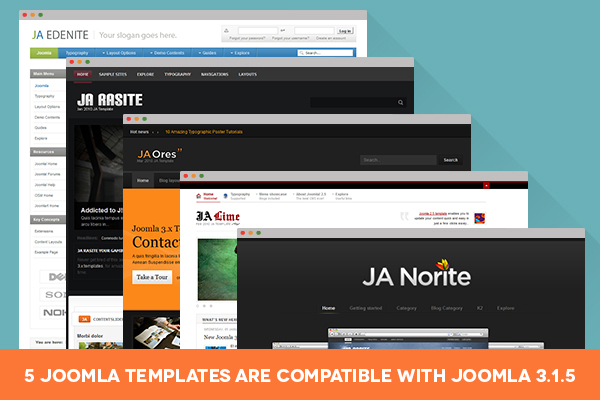 Onepage Joomla template: JA Onepage. 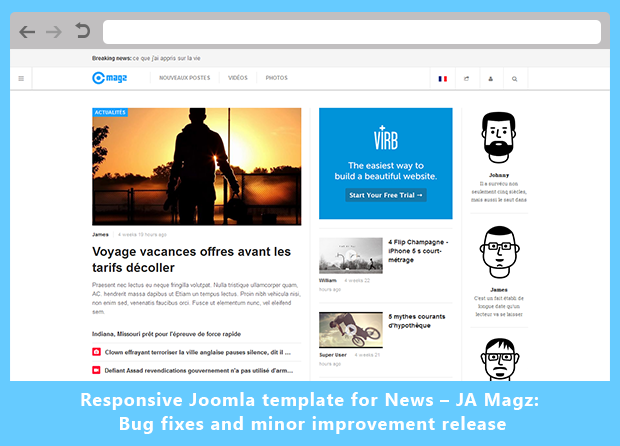 Joomla template for News & Magazine: JA Fubix and JA Argo. 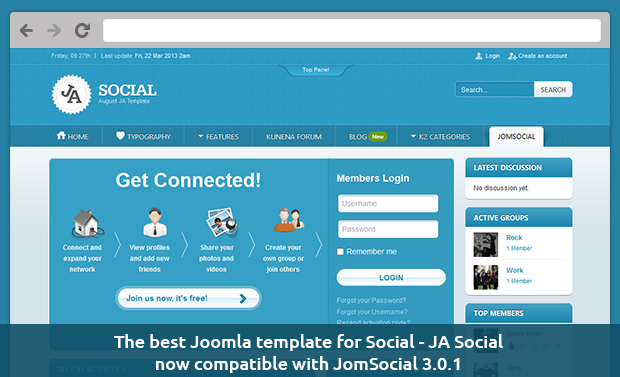 Joomla template for Entertainment: JA Smashboard. Joomla ecommerce template for your online fashion store: JA Hawkstore. 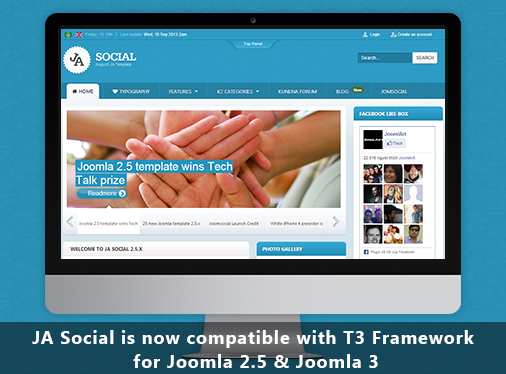 This is our first Joomla 3.1.5 upgrade load for Joomla templates. 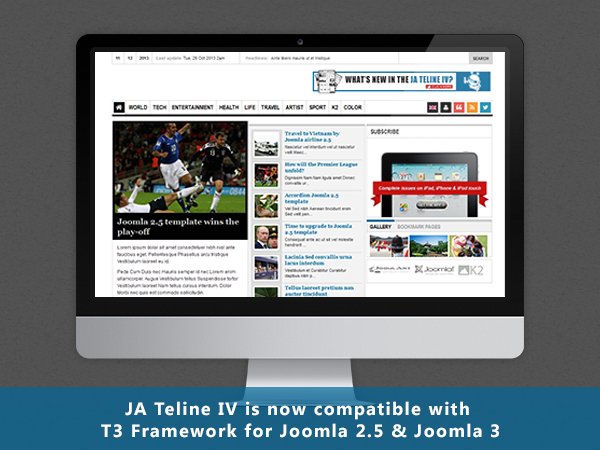 It includes Joomla templates for business portfolio - JA Business and JA Mendozite, the all time favorite Joomla template for news and magazine - JA Teline III, and the free blank Joomla template that everyone should have - JA T3v2 Blank. 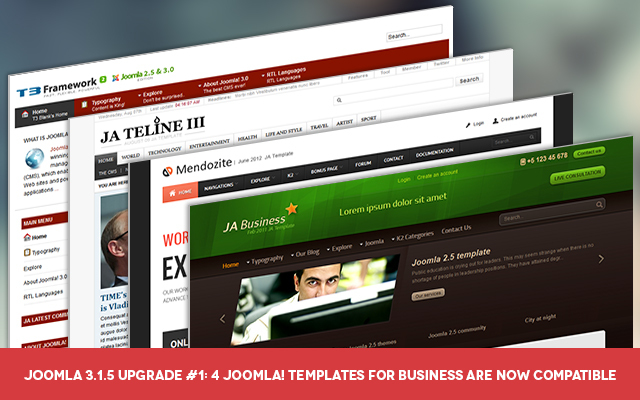 These 4 Joomla templates are now upgraded with the latest Joomla 3.1.5 version. Don’t get too excited just yet, please always remember to back-up before proceeding to any upgrading process. There were a few bug fix packed into these upgrade packages as well.